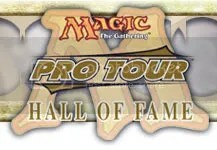 This entry was posted in Uncategorized and tagged 2011, ballot, chapin, hall of fame, huey, jensen, jonsson, magic, magic the gathering, mtg, mtghof, nakamura, o'mahoney-schwartz, oms, pro tour, shuhei, steve oms. Bookmark the permalink. Super Solid! glad you are representing the Podcasters out there.